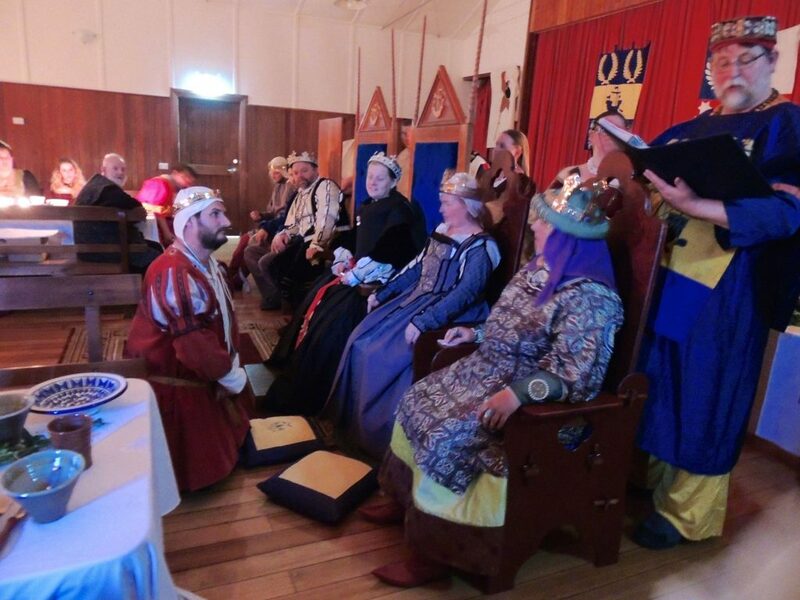 Lady Drusticc maintains the Ynys Fawr Order of Precedence, the list of all members of the Barony who have awards or have registered names and armory. You can find it here if you want to take a look. It’s a good idea to do so when there’s a royal visit coming soon, because Their Majesties are always on the look-out for people to give awards to. Although the Kingdom Order of Precedence, Canon Lore, lists all the Kingdom awards, and this document lists all the Baronial ones, there’s really only one you need to worry about: the Right Noble Order of the Haven’t They Already Got One, which is an award that entirely too many people have. You can fix this by identifying someone worthy of recognition and recommending them, so that one day they might actually get the award that you probably thought they already have. The Baronial Order of Precedence: download or view as a PDF file, last updated June 2018. The generic “Recommend Someone” page on Canon Lore. If they have an entry in Canon Lore, you can also click the “recommend” link on their page. The list of Baronial awards, so you know what to recommend for someone. A quick reference guide to Kingdom awards.